What is a Virtual Color Consultation? A virtual Color Consultation is when I provide professional color advice for you and all the transactions are done via email. No Skype calls, no fancy forms to fill out no lengthy processes, no fancy instructions to read here on my website. I’ve designed my service to be very simple and affordable. How can you pick colors for me without being in my home? I’ve been an Interior Designer for over 30 years. I’ve been specializing in designing color palettes for homes since 2007. I know color very well and I know which colors work well with each other. I also know the most popular granites, floorings and woods stains that are in the home and the colors that works best with those features. How does the virtual design process work? Easy! I’m going to put it in bullet format so it’s easy to see. You send me JPG pictures via email of the rooms in your home that you want color for. Label each picture such as kitchen, dining room, bedroom, living room etc. Tell me what type of colors your want for your home. Coastal? Traditional? Tell me what paint company you’d like to use. Sherwin Williams? 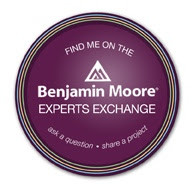 Benjamin Moore? I will give you a quote based on what you need and how long it will take me to design it. I’ll give you a 10 minute video that explains the virtual process plus you get to “meet” me. I’ll give you a PayPal link if you’d like to proceed with the consult. Once payment is received, we begin! Are there any refunds if I don’t like the colors? No. There are no refunds. I provide Color Palette A for you. I then strongly suggest you go to the paint store and get either the color chips or paint samples to try the colors out in your home. If you don’t like some of the colors in Color Palette A, I tweak the colors in Color Palette B. Rarely do I go into Color Palette C. If for some reason there are still a few colors you’d like to change, of course I will complete the consult but in a reasonable time. If I feel the consult is becoming redundant, I will wrap up the consult. You must, must, must sample the colors and love them all before ending the consult. If you don’t sample the colors I am not liable for how they will look in your home. What can go wrong with virtual consultations? Rushing. Rushing this process is never good. There were many times where clients hired me while their paint contractor was in the house and this is never a good idea. It’s not that I can’t do it, I always accommodate my clients the best way possible. It’s the fact that you, the client, will not have ample time to sample and view your colors for a few days before committing to them. What is the turnaround time for a typical virtual consultation? From the time you pay me via PayPal, you will receive Color Palette A usually within 24 hours but definitely within 48 hrs. I work very fast so it depends on your schedule and how fast you can sample the colors and make adjustments and decisions. What will the graphics that I receive via email look like? I provide simple, easy to understand graphics like this one. This process is all about simplicity. If you have an open floor plan and are not sure where the color goes, I will insert arrows in the graphic for color placement. In your graphic I will of course show you the name of the color, the paint brand and include any notes on the bottom..
How many virtual color consultations have you done and were they all successful? I can’t even count, hundreds would be my guess. Virtual consultations now make up over 95% of my business. I love virtual design and working with color. I also have a home based office which is how I keep my costs down. I can work around the clock if need be because I have the luxury of time. I’ll be honest with you, out of the hundreds of consults I designed, there were maybe 4-5 that I just couldn’t please. They either didn’t follow my instructions or they weren’t 100% sure of what they wanted. So, I’d say that I have a very high success rate. I do have some reviews here that you are more then welcome to read. Ready to choose a color scheme, then purchase a color palette, is that the correct order? I think I want a neutral all over light color then accent with a teal olive, plum chartreuse etc. You’ll have to send me an email with your information Ellen, I don’t give quotes here in my Q&A section. It’s really easy though, tell me where you live, the size of your home – I already know what colors you want – then I can give you a quote. If this is a virtual, I’ll need to see photographs of your spaces. Send me an email at DecoratingbyDonna@mac.com and I’ll walk you through it. I am remodeling my coastal home. I got your info from my neighbor in Rockport, Texas. At this time we are working on the exterior. We have a new roof just installed color is Owen Corning “Storm Cloud” I have ordered the Boral – cultured stone – southern ledgestone – color is “Fog”. I have prints showing the exterior elevations and photos of the existing exterior. We will begin the interior renovations after we complete the exterior. The interior has 4 bedrooms, 4 1/2 baths, living, dining, kitchen, and laundry. 3200 square feet total. Is this something you could help us with via your virtual service? There are many colors that will work well with that. A lot will depend on your room exposure and what type of flooring and bedding you have.